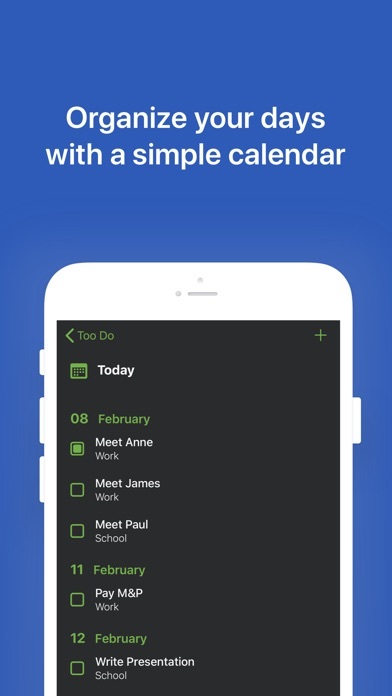 Too Do is the perfect app to organize your time and improve your days. 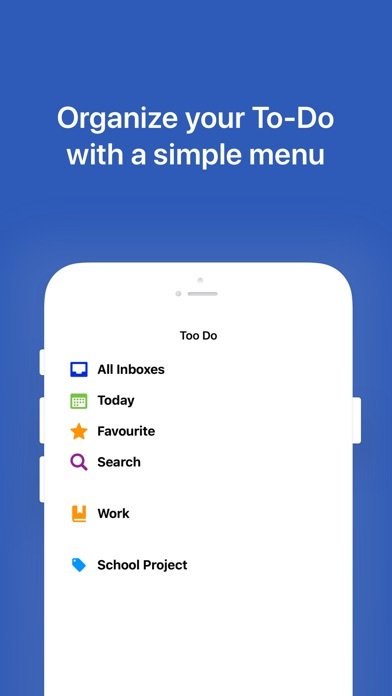 You can use a simple menu with categories, tag and more. 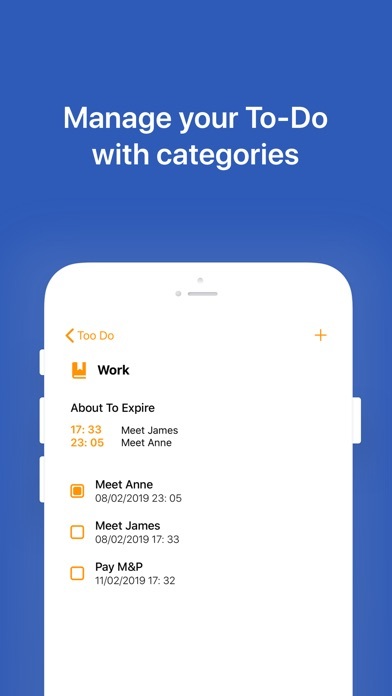 There are also 4 smart categories: - All Inboxes: All To-Do are displayed - Today: It’s a simple calendar to organize your time - Favorite: Your Favorite To-Do are displayed P.S. 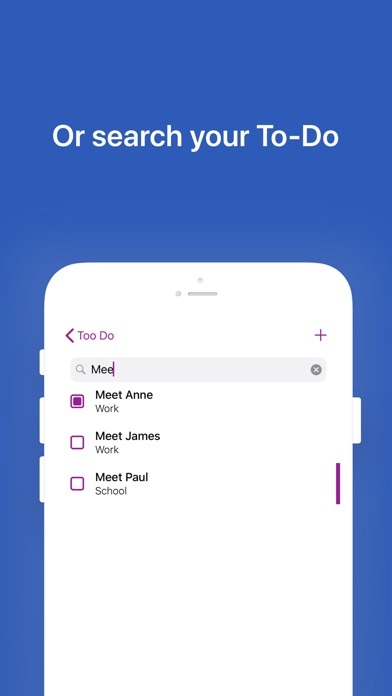 You can add your To-Do to Favorite Category with a double tap - Search: You can search your To-Do P.S. You can search your entire Tag with # The categories are an efficient way to organize your To-Do. You can choose the name and the color. 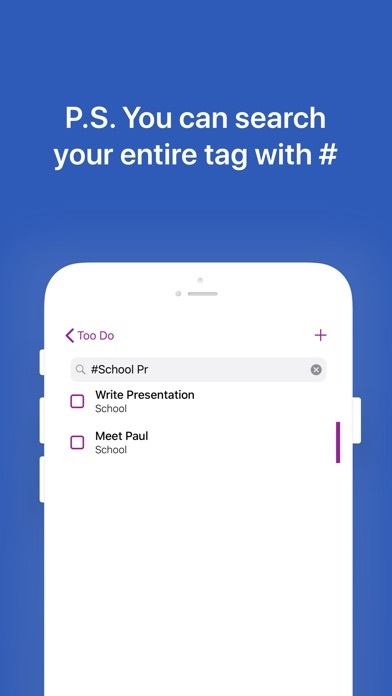 The tag, instead, is an other way to organize your To-Do. It’s more precise and it can include different categories. 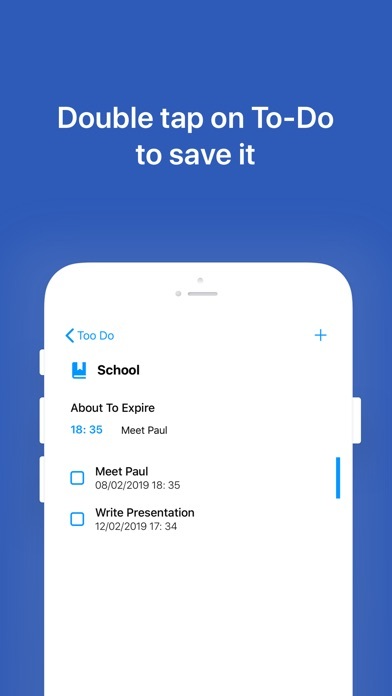 You can create your To-Do by the main menu(+ button) or your tags and categories. You can choose its name, the expiration, its category and tag(not required). 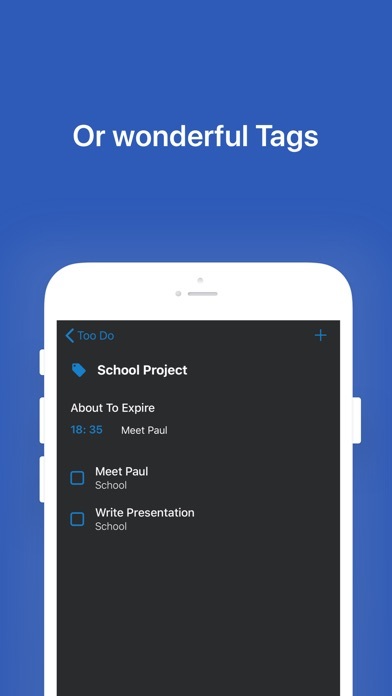 We have also considered the design and the user experience and you can custom the main app. 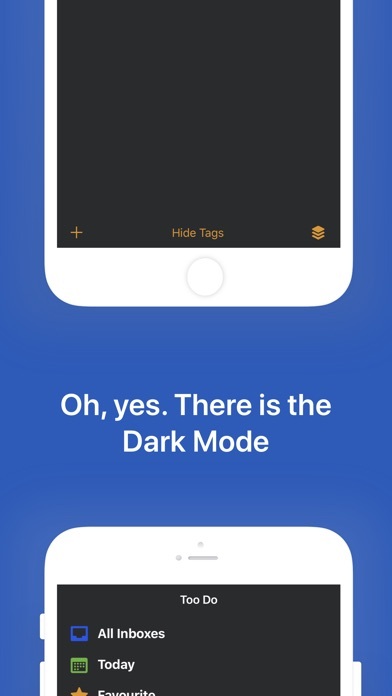 By the settings app you can choose the theme and switch between light and dark mode. We hope you enjoy it and positively review it.